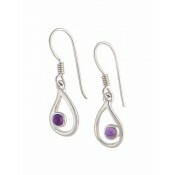 A stunning pair of Open wave sterling silver drop Amethyst earrings. 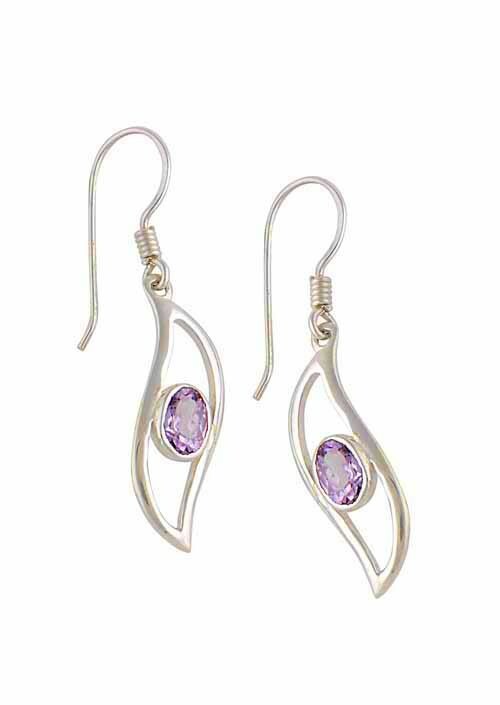 These unique contemporary Amethyst earrings each feature a pointed open wave design. 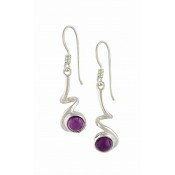 At the centre of each silver earring is a round purple Amethyst stone cupped within a band of sterling silver. 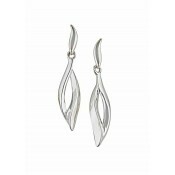 A great addition to any outfit.